Sorry, Eleaf iStick 30W All Inclusive Bundle has been discontinued. The Eleaf iStick 30W is another of our new designer kit series. These kits offer you some of the best possible vaping experience on the market today. In this convenient bundle we pair it with the high-quality clearomizer of your choice, and a free bottle of e-liquid! 180 Smoke presents the updated version of the Eleaf iStick, now 30W and sub-ohm, in an all-inclusive bundle! 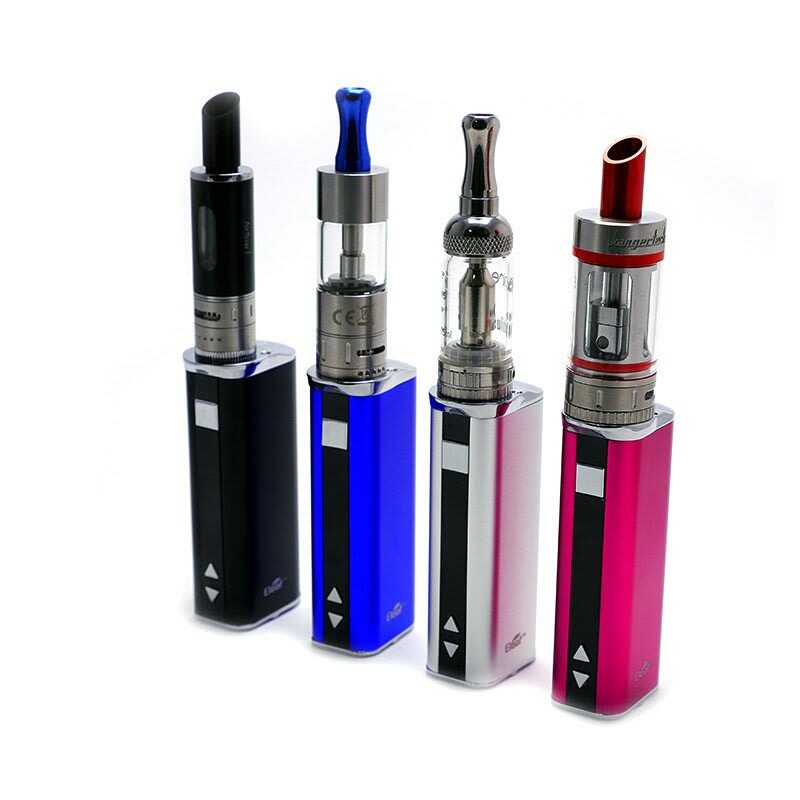 The Eleaf iStick 30W is the improved version of the Eleaf iStick, here in a convenient bundle. These kits offer you some of the best possible vaping experience on the market today. The Eleaf iStick 30W is one of the newest and highest quality e-cigarette device on the market today. It is the most compact variable voltage and variable wattage mod to over such a high capacity of 2200 mah! Barely bigger than a lighter, the Eleaf iStick will fit in the palm of your hand and be able to deliver, on average, the equivalent of 8-10 packs of e-cigarettes! The Eleaf 30W is just a couple millimeter bigger than the standard iStick. This Eleaf iStick 30W comes with, in addition to its high capacity battery of 2200 mAh, an OLED Screen showing voltage, wattage, resistance level of your atomizer, and remaining battery life, it has short circuit/atomizer protection,supports charging with a 1A wall adapter, and as an operating wattage ranging from 5W to 30W, enough to satisfy the more exigent of vapers. The operating voltage ranges from 2V to 8V. It has Sub-Ohm capability from 0.4 ohm and up to 5.0ohms, allowing to use the new generation of sub-ohm clearomizer, as well as RDAs and RBAs, to their full capabilities! The Eleaf iStick comes in four different colours : Black, Silver, Pink, and Blue, and includes an USB cable for pass-through charging, as well as an adapter EGO ring to fit any tank on the market! 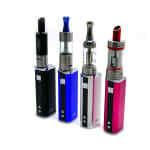 This all inclusive kit comes with a high-quality clearomizer of your choice and one free bottle of e-liquid. What can I say I have brought my kit here at 180 Smoke and it is still going! The service is great, the e-juice is great and the service is FAST. What more can I say? If you want great, fast service, shop here!!!! First time vaper - 180 advised getting iStick30. Actually ordered 2 of them and a whack of 'Red' juice. They thought the order was fraud and didn't call me to confirm. They also did not charge the reduced price if ordering 10 or more juice - was over-charged. They didn't include the wall charger too - had to complain to them to get it. All in all a lousy experience. Just got my new setup, haven't tried the rba yet, but great inclusive bundle with the istick, great for the intermediate vaper, will update review when I try the RBA deck, but so far with the OCC stock coils very impressed with flavour and cloud production, So overall Capacity/cost/flavour, best investment. This is the best kit I've ever had, I went with the subtank mini and I couldn't be happier. I've even starting building my own coils on the RBA deck and the flavour is amazing.